The 2017 Champions League tournament is well underway, and as it nears its June 3rd finale, it’s time to ask yourself: do I have the necessary tool in order to provide football supporters with all the updates, images, and analysis that they crave? Not to worry if you feel unprepared, Live Blog is here to help. 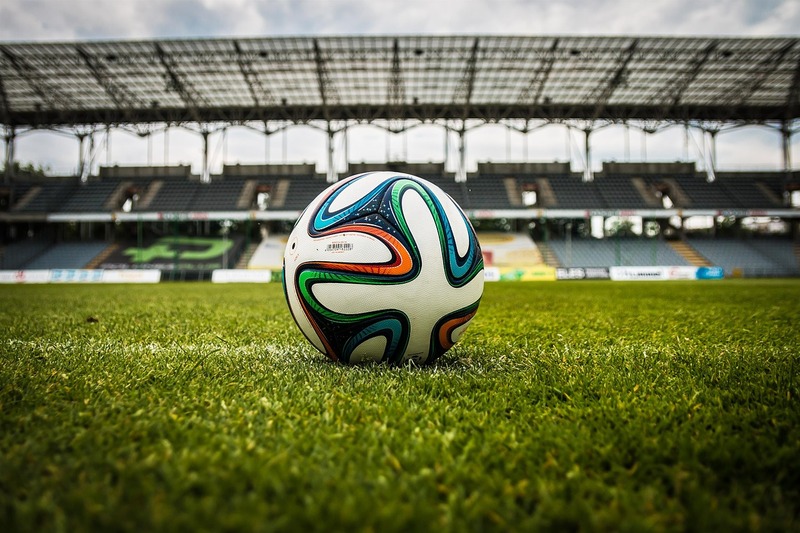 Not only is the Champions League one of the most prestigious tournaments across the globe, but in recent years it has become the most watched annual sporting event in the entire world (the 2016 final had more than 300 million viewers). Supporters want the latest information fast, and Live Blog allows editors to supplement conventional live coverage and deliver text, images, video and social media content in real time, ensuring maximum engagement. The latest Live Blog release comes fully-equipped with new tools and features to boost your live blogging efforts and enrich the experience for your followers. Live blogging about a sports event requires presenting data in a comprehensive and meaningful way. The most important pieces of information in this regard are the current score of the game and the final result. Use the Scorecards tool to inform your viewers who scored a goal and in what minute. You can also use this tool to divide teams into “Home” and “Away”. Adding score cards to your live blog. As we’ve mentioned in a previous post about election coverage, the free-types management tool provides creative freedom over how to present information relevant to your coverage. When you cover the Champions League or another sporting event, statistics such as possession, corner kicks, fouls, bookings, and shots can all be illustrated however you and your editors decide. Enhanced, real-time stats illustrated with graphs, charts, and graphics make games more interactive while increasing the audience’s connection to their team. It’s important to note that custom post types must be configured as part of an initial effort. If you have the skills or people in place, great, you are ready to go! Otherwise, you can enlist the help of Sourcefabric’s development team and we will get the post types you want up and running in no time. Also in the works is a set or package of custom types available to all Live Blog users on Github. Include statistics to your live blog. 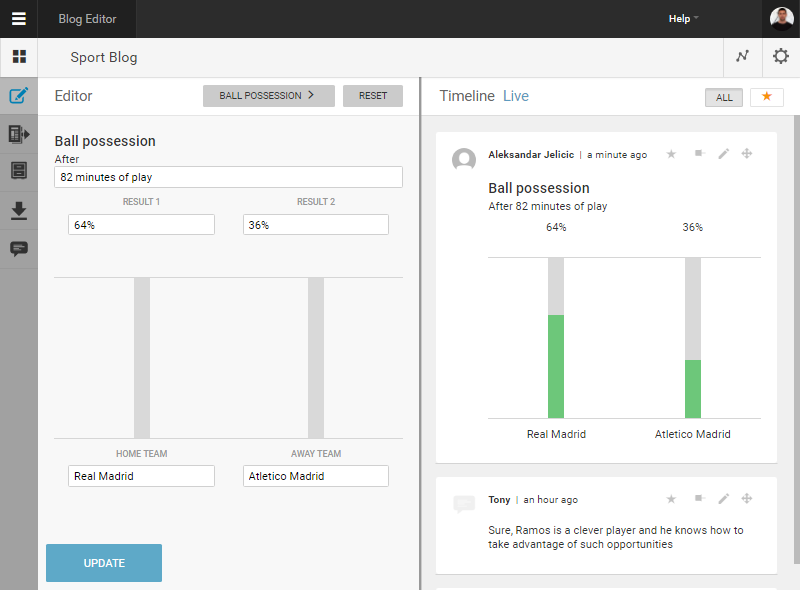 Football supporters love to be part of the action, so make certain that they are able to participate and offer their own insights with the User Comments feature. Viewers who also share streams, highlights, or social media directly from their game-watching experience help your blog to gain popularity and increase exposure. Easy to review and approve user comments. 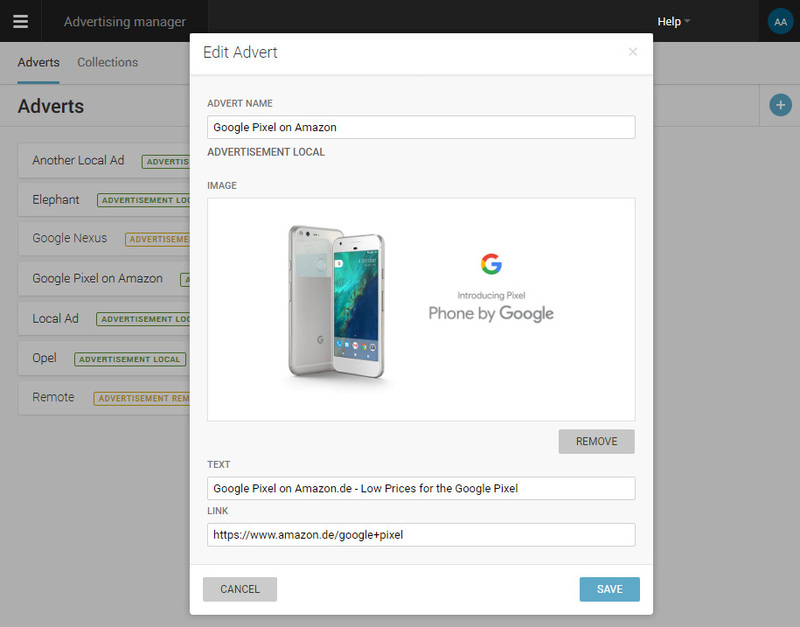 The ability to include advertising in your live blogging software – either from a third-party provider or ones you have made yourself – increases revenue for your organisation. Football supporters are an engaged audience who are loyal to their club. Additionally, their love of the game and for an organisation is handed down from generation to generation. Advertisements during your broadcasts can include sponsorships or in-house products and services that will bring in money for your organisation. You can consider supplemental ads for merchandise or even to purchase tickets to the next match, enticing your viewers to take the next steps to support their club and bringing you more revenue in the process. Monetise your live blog with advertisements.